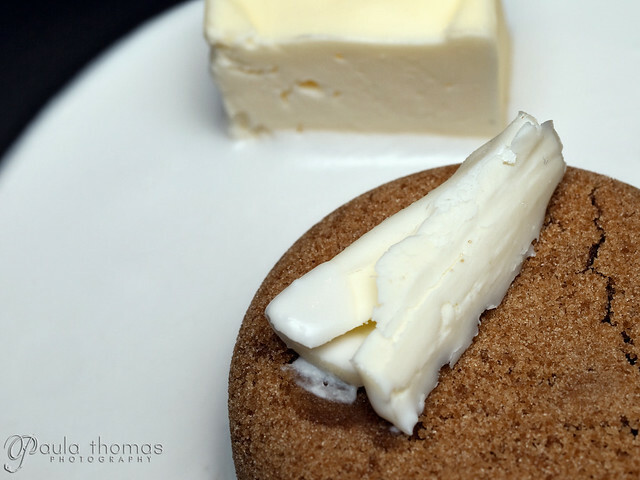 This is my third recipe from the brunch section of The Newlywed Kitchen. There are still a few more I'd like to try from this section like the blueberry cinnamon streusel muffins, orange blackberry scones, and the chunky monkey banana bread, but I must stay on track and move onto the next section next weekend. I'm sure I will revisit these other recipes after this project. Mark is usually the pancake maker. He's helping me pick out recipes and this was one of his selections. I had a feeling it was the one he was going to pick, but it was a tougher decision than I thought it would be. 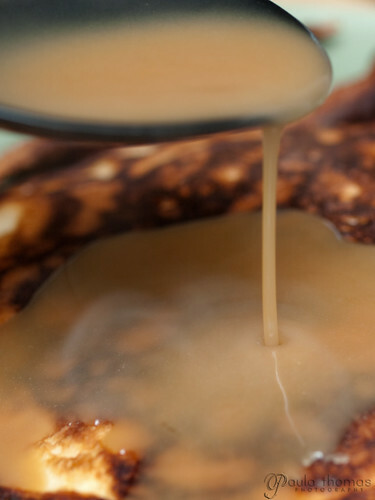 This recipe is said to yield the softest, most tender pancakes and well, I would have to agree. I'm sure it had something to do with the combination of buttermilk, baking powder and baking soda. 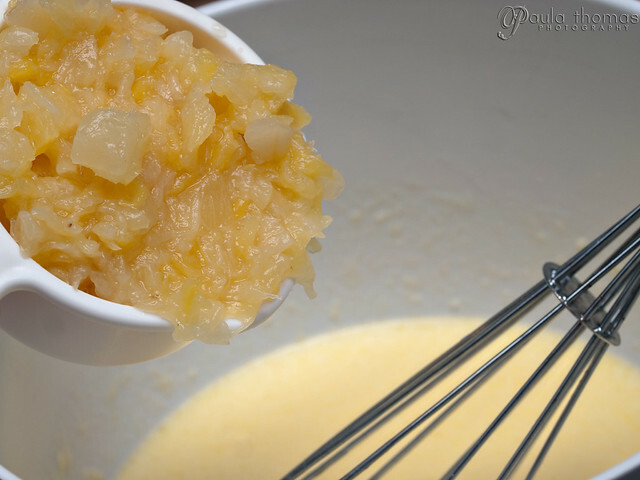 The addition of pineapple to the batter made the texture a little chunky but in a good and tasty way. 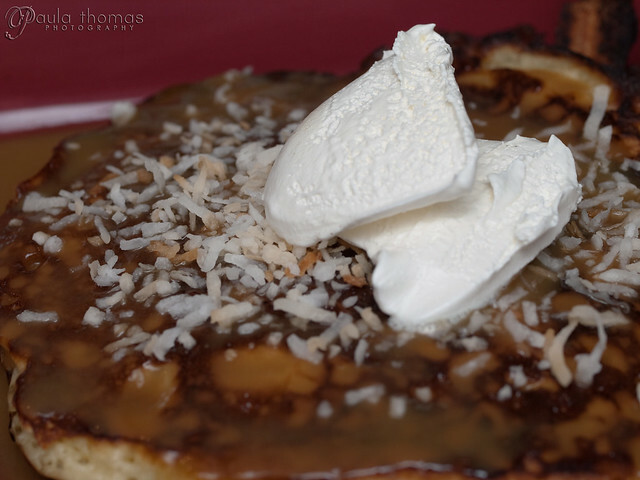 The pancakes were topped with buttered coconut rum syrup which was quite easy to make using the recipe in the cookbook. They were also topped with toasted coconut which I'm not sure you can buy. 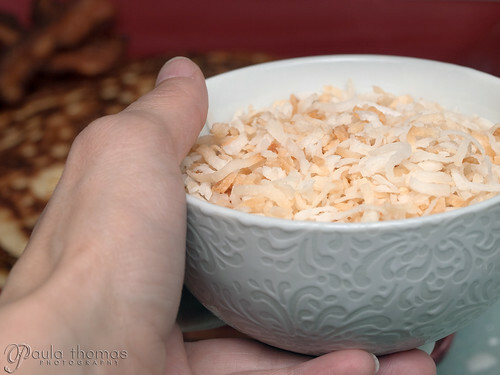 I ended up buying the coconut flakes and toasting it myself in the oven for about 7 minutes at 325 degrees. The final topping was a couple of dollops of whipped cream. Instead of making 6 pancakes, I made 4 large, plate sized pancakes and it was more than enough to feed the two of us. We were able to eat about 3/4ths of it along with a couple of strips of bacon and saved the leftovers for breakfast the next morning. They were just as good the next morning as they were the day before.